With Ford pulling out of World Rallycross, that leaves one big question up in the air: are they going to put that money somewhere else? 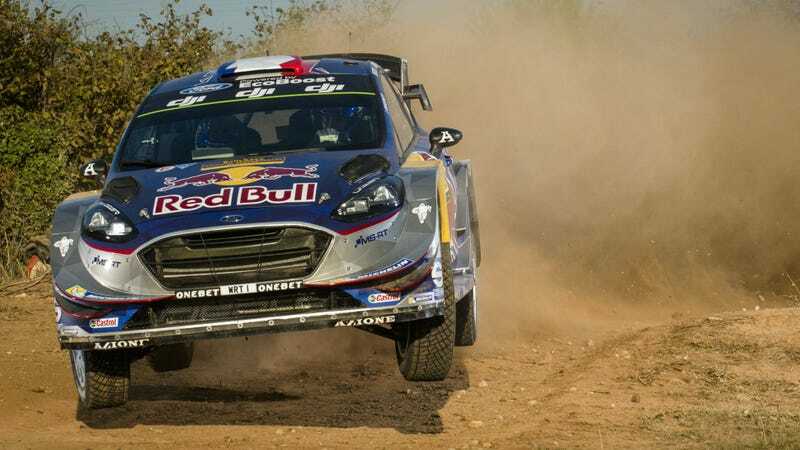 To me, there’s only one answer: Ford needs to make M-Sport its World Rally Championship works team before they lose the WRC’s second most successful driver ever: Sébstien Ogier. Ford does not have a factory effort in the WRC right now, but they have a powerful team running Ford Fiestas this year: M-Sport. The team used to be Ford’s works squad, but Ford pulled out of the WRC after the 2012 season. M-Sport has kept running Fords anyway with limited support from the brand, running competitively against the full-on factory squads that dominate the WRC. Despite this, plucky lil’ M-Sport currently leads the 2017 constructors’ championship by a sizeable margin thanks in no small part to drivers’ championship leader and reigning four-time champion Ogier. Best of all, it’s been fun to watch a more relaxed Ogier run this year after spending four years at hyper-competitive Volkswagen. 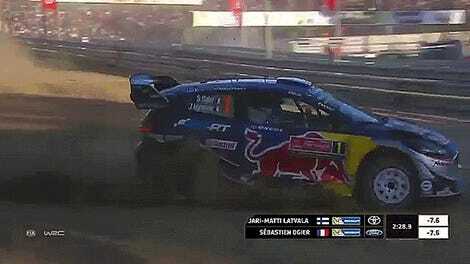 He also gets along fantastically with teammate Ott Tänak, who’s been helped by having Ogier on the team. Tänak currently sits third in the drivers’ championship, enjoying his best year ever in the WRC. But Ogier may go elsewhere if Ford doesn’t commit to a real, honest-to-goodness works rally effort again—one with more resources and support than M-Sport has as a private team. Tänak has already recommitted to M-Sport for 2018, but Ogier’s decision is still up in the air. Worse yet, Citroën team principal Yves Matton has already told Autosport last month that signing Ogier for 2018 is a priority. I can’t be the only rally fan who doesn’t want to see that happen. Citroën is a fine enough team and all, but Ogier/Tänak is the rad teammate bromance I need in my life so much more. And this year is what they’re able to do without being Ford’s factory team. Think of how ridiculously unbeatable this team would be as a full works effort. I also can’t take much more of listening to dejected M-Sport team owner Malcolm Wilson dejectedly tell the WRC broadcast team that he has no idea what’s in store for next year. Wilson admitted that he won’t have the resources to keep Ogier around unless Ford ups their commitment, or they get some other major partner to fill the void. But as far as Wilson is willing to admit publicly, Ford hasn’t said anything about making M-Sport a works team. M-Sport also built the Ford Focus RS RX used in World Rallycross, so the withdrawal of Hoonigan Racing there means his company won’t be selling those cars next year. The coolest Focus ever built only got two years in the limelight before Ford pulled the plug. Ouch. Now every other team seems to be circling like buzzards over Ogier, ready to pick the tastiest driver from Ford’s leftover rally-carcass. Yo, Ford: don’t let them. Rallying is the single best ad for your smallest, most pedestrian cars, and rally is the most popular in all the same markets where small cars sell well. (Read: sadly not here in the United States.) More importantly, you guys owe Wilson big time. The reason why every self-respecting racing fan suddenly thinks they’re Ken Block every time they score a rental Fiesta is largely thanks to M-Sport, who’s stuck with Ford even when Ford cut back on rallying. Keep that superstar WRC team together, Ford. Sink that rallycross budget into making M-Sport your full-on WRC works team for next year, and let us enjoy the Ogier and Tänak show for at least a few more years.